Every time I go for a run that is longer than 7k, I end up passing by Kafé Russin. On a nice sunny Sunday morning (like today), I can see typical Kungsholmen residents reading the papers on the few tables on the sidewalk. If the door is open, I can smell the fresh coffee from inside, or the kanelbullar being baked. While I did not have to deal with all of those temptations on my run this morning (Kafé Russin was not open at 7:00am! ), I was decided to go back later in the morning. 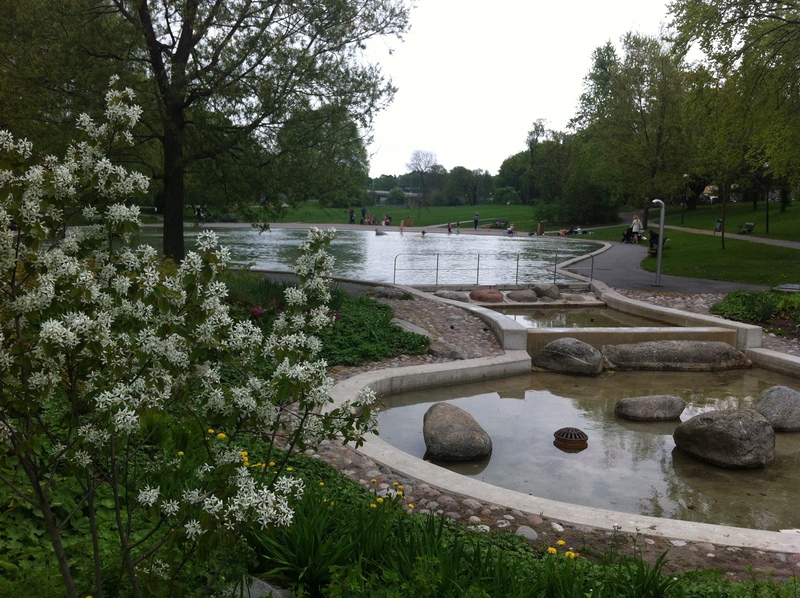 On my way there, I stopped for a minute in Fredhällsparken to enjoy a moment of quietness. 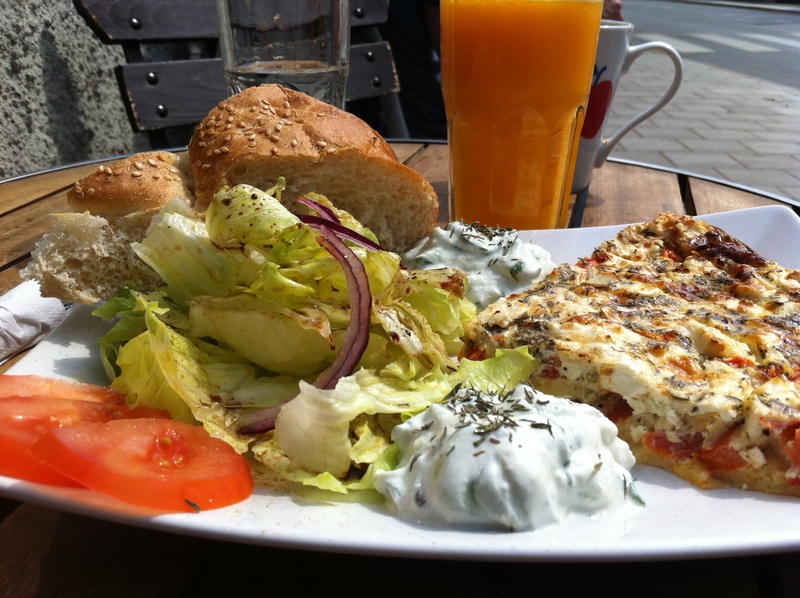 For some reasons, I did not have much to eat in my last visits to Stockholm’ cafés. This time, however, I knew that I would have lunch at Kafé Russin. But since I got there a bit early, I started with a nice cappuccino. I happily accepted when the lady behind the counter offered to add a bit of cinnamon and it might be because of the way I feel these days, but I can totally see the cinnamon heart on my cappuccino! 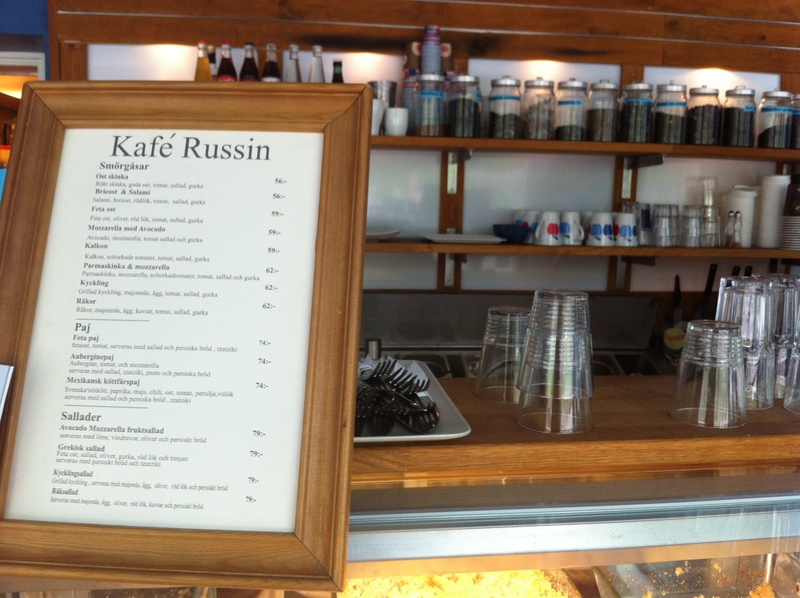 Kafé Russin has a typical Stockholm café menu (which is a good thing), and after the cappuccino I had a nice quiche with feta cheese. I also had some freshly pressed orange juice, and both were fantastic. I also found cucumbers and olives under the bread. That was a nice surprise! 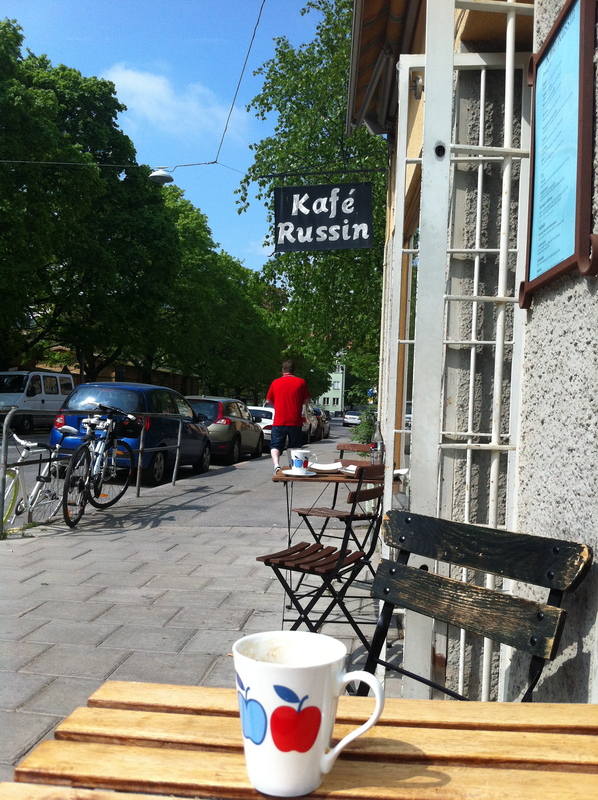 Kafé Russin has the perfect location for sun lovers. I always eat very slowly, and today I had not reason to rush, sitting in the sun. At some point, it almost felt too warm! I took the time to enjoy the nice food, but also to think about things I have to change in my life to better manage my expectations but also my reactions to my long-distance relationship. It shouldn’t be too difficult. At the end of the day, long-distance relationships are not much different than any others. It’s mostly about confidence. Confidence in the other and self-confidence. Still, it would have been nice to go to Kafé Russin with her this morning. Maybe next time she visits Stockholm. Mmmm, all looking so good. I would love to have a cappuccino at an outside table in Stockholm. The weather has been great so far this spring. 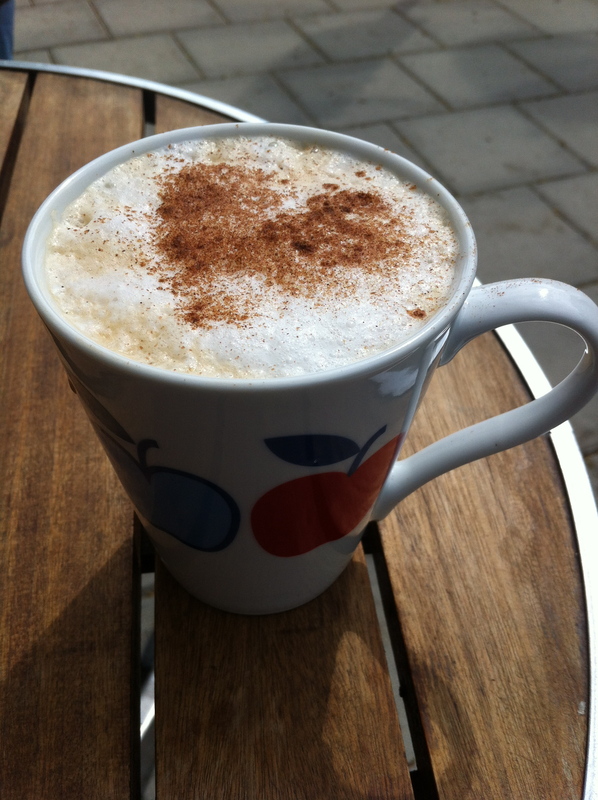 A lot of nice occasions for outdoor cappuccinos! Are you planning a trip to Sthlm anytime soon?